NEVER WORN NO DAMAGES PERFECT CONDITION!! This wedding gown features a modestly flared sheath silhouette in lace over satin. The gown also features stunning bead work around the neckline and cap sleeves. A lace-edged keyhole back and dazzling scalloped bead work ensure this sheath is beautiful at every angle! 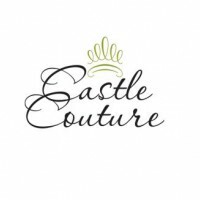 Once you send a message, CastleCouture can invite you to purchase the dress.